Hip, hip hooray for Friday! And extra cheers for a long weekend - I hope you all have a fun and festive 4th of July. We are planning a neighborhood block party AND my college bestie is coming in town. She's coming just at the right time since the funk took over this week - I am ready for laughs, barbecue, and fireworks! Meanwhile, our summer bucket list is being tackled head-on, and I wanted to give you an update. We are LOVING American Ninja Warrior. My son is OBSESSED with this show - we watch and DVR every single episode so he can watch and watch again. I have to admit - I get his fascination. These athletes are amazing, and their stories even more inspiring. This mom applauds this show for teaching my little one about overcoming obstacles and the importance of physical fitness. 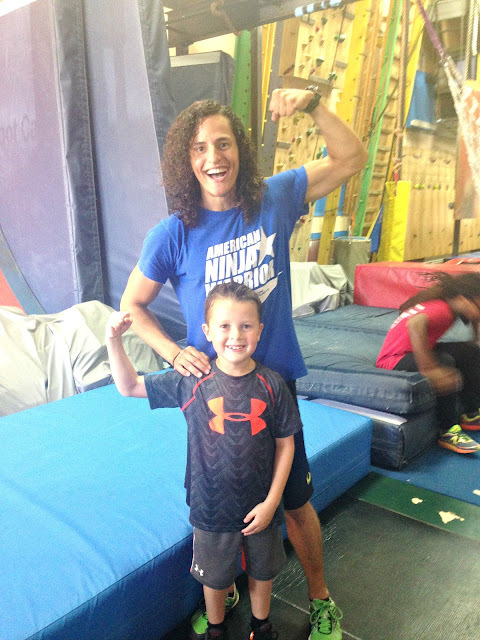 This summer, we have participated in the Mini Ninja class at Iron Sports - the training center of MANY ninjas including my son's two favorites, Sam Sann and Daniel Gil. If you are in the Houston area and are looking for something awesome for your kiddos, look no further than this class. If you are not in the area, I guarantee you there's a gym nearby since this show has become the phenomenon it is. We even had my son's last birthday party here, and this mommy ninja tried the Jumping Spider. Despite the hair chaos, I LOVED IT (and landed it #thankyouverymuch). They even have boot camp classes too - I just may need to overcome some fears and give it a go. 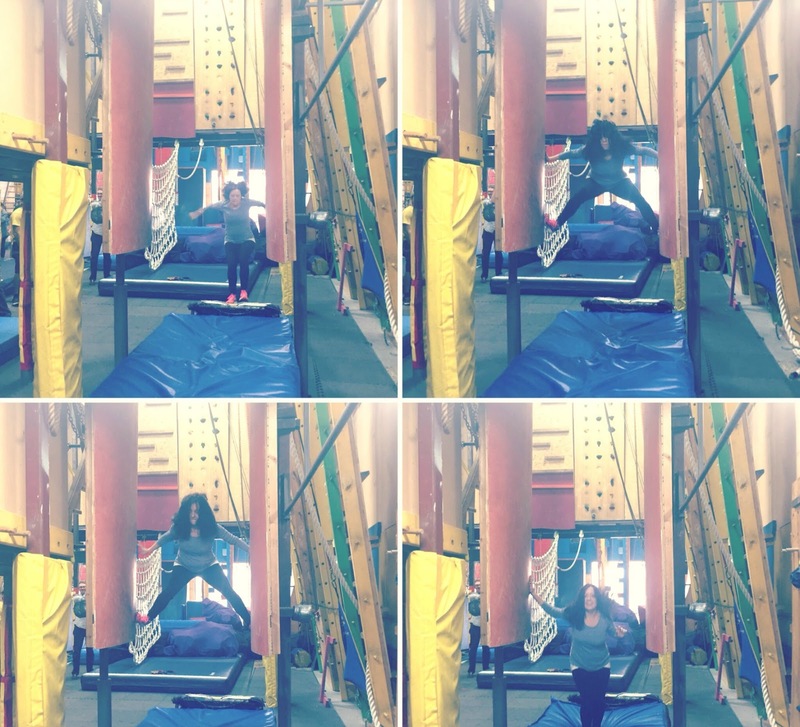 For the Mini Ninja Class, there are options for you to attend. You can stay and watch (which I HIGHLY recommend) or drop them off and get some errands done while they ninja their way around the gym. and we are rooting for him to go all the way. 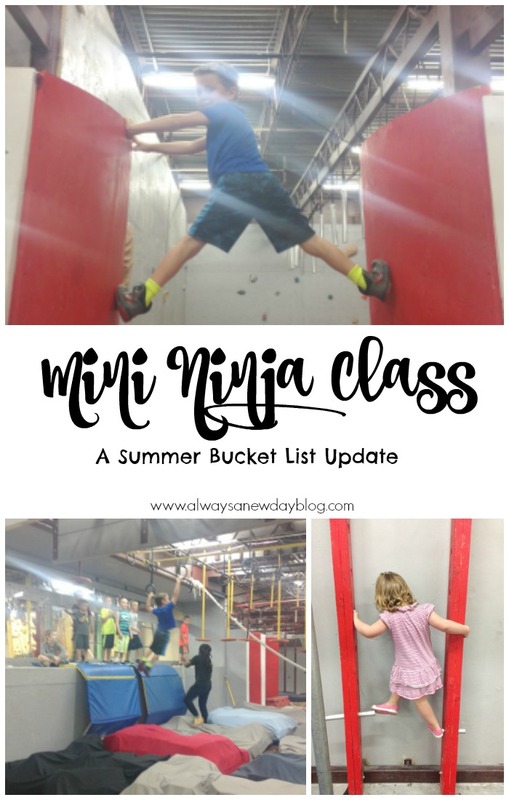 We still have so many things left on the bucket list, but we have plenty of time for more ninja-ing and more fun. Check out Iron Sports, Houston friends. And watch the show with your kids - these participants are some great models. NOTE: my mini-mini ninja toddler wishes there was a class for her, but she does try her hardest to participate too. One day, little sister. Houston friends, do you want more ideas on what to do in our area this summer? Check out Big Kid Small City for resources, calendars, and events. My kids and I love ANW too and they would love to do something like this! So fun!